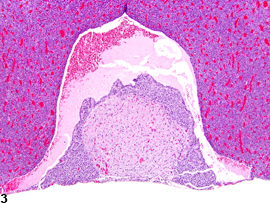 Pituitary, Rathke�s cleft - Dilation in a female F344/N rat from a chronic study. 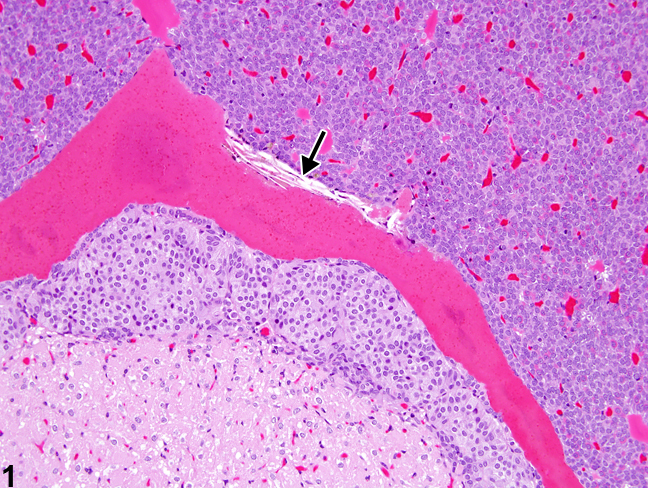 The dilated Rathke�s cleft is filled with intensely eosinophilic proteinaceous material with cholesterol clefts (arrow) present at the edge of the dilated cleft. Pituitary, Rathke�s cleft - Dilation in a female F344/N rat from a chronic study. 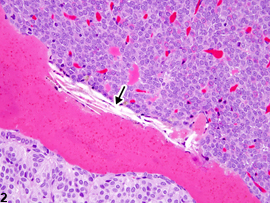 Higher magnification of Figure 1 shows the dilated Rathke�s cleft filled with intensely eosinophilic proteinaceous material and the cholesterol clefts (arrow) at the edge of the dilated cleft in greater detail. 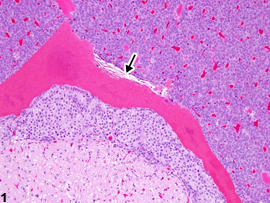 Pituitary, Rathke�s cleft - Dilation in a female F344/N rat from a chronic study. 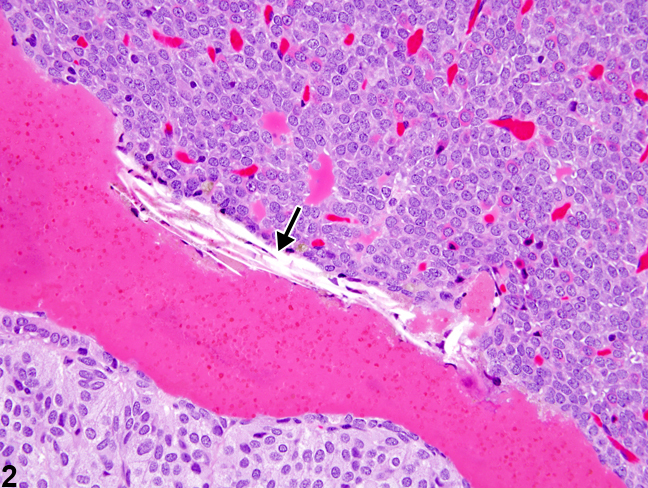 The dilated Rathke�s cleft contains pale eosinophilic proteinaceous material and erythrocytes (hemorrhage).